That bright speck, about halfway down the picture on the right side, is us. That’s earth. The planet we live on. 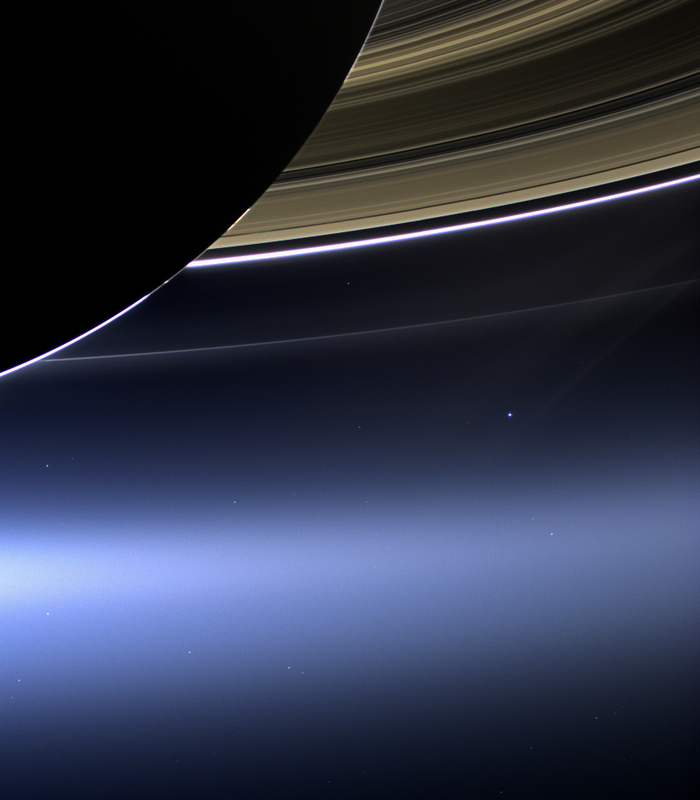 Taken by the satellite Cassini, that little azure freckle in the mad expanse of darkness is an actual picture of our earth from the distance of Saturn. And as I study for my first and hardest grad school final (well, I used to be studying—I couldn’t deprive my loyal fans of their reason to wake up on Wednesdays), all I can think about is that little, tiny, infinitesimal dot. 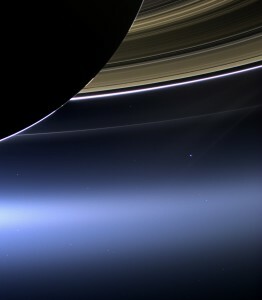 There we are—there you are, the planet that encompasses us hardly more than a couple pixels on your computer screen. In the winding, twisting, unfathomable wilderness of space, you and I are nothing more than temporary flecks of dust on a larger, yet at the same time, equally meager assortment of dust. Here’s a summary of his response: The most astounding fact is that we, that this planet, that every person, every skyscraper, every dog, every oak tree, apple orchard, and blueberry bush, every moment of love, thought of despair, bead of sweat, all originates, all begins with, all is the collection of stardust. That you and I are composed of the same atoms and quantum physics that compose those blinking pinpricks of light we see when looking up at the night sky. What’s the most astounding fact? That each one of us, no matter your religion, your race, your gender, your lucky number, your birthdate, or your dreams is made up of the same universe that we ourselves in turn comprise. And even through all the impossible insignificance of it, we find meaning in the world. Purpose. Hope. And to me, that is the most beautiful part of all. That’s definitely good for thought. I need to focus. Thanks Jake! I kept thinking, it’s not very blue, is it? Thank you, good sir! And with the final now complete, I can say your luck was not wasted.